Arrive Hashimara Station and transfer to Jaigaon hotel. Check in hotel. 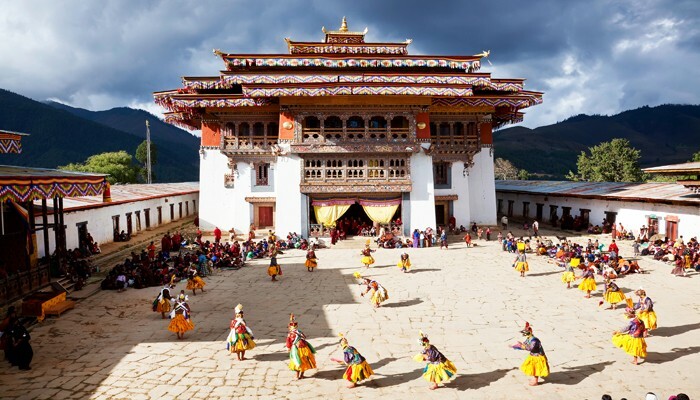 Preparation of documents for Entry Permit to Bhutan. Overnight at Jaigaon hotel. After Breakfast: Transfer to Thimphu, (which is Approx. 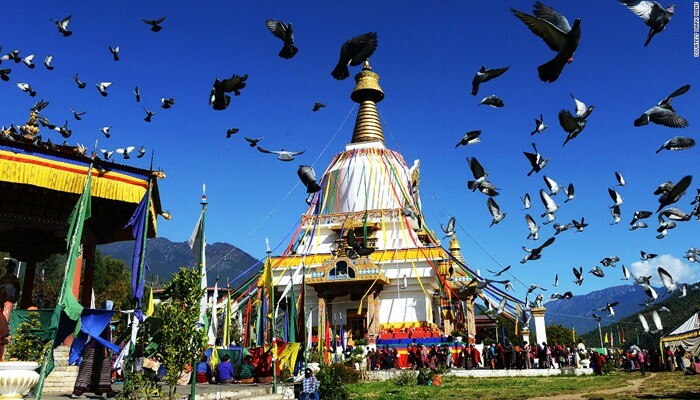 6 Hours/ 172 Km from Phuentsholing town) Thimphu is the capital and largest city of Bhutan. It has a population of 104,200, On Road Water Falls & Natural Sightseeing, Chukha Dam (Top View) En-route. Check-In at Hotel & Overnight Stay. 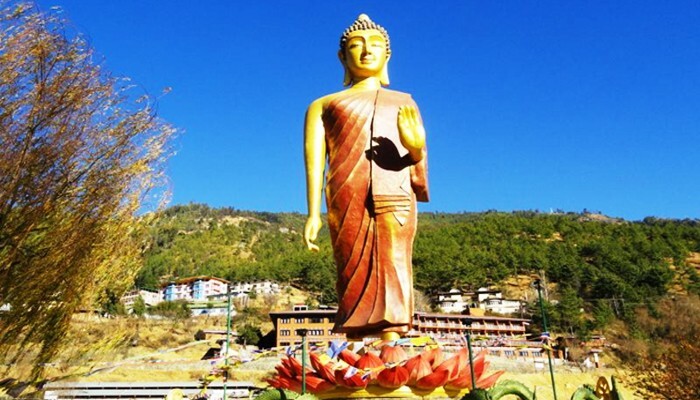 After Breakfast: start for Sightseeing to 1) Memorial Chorten 2) Buddha Point, 3) Changlimithang Monasteries) 3) Takin Zoo[National Animal of Bhutan], 4) BBS Tower, 5) Thimphu Dzong[View Point] 6] National Library, 7] Thimphu National Museum, 8] School of Arts & Crafts, 9] National Library, 10] Handicrafts & Textile Museum, 11] Handmade Paper Factory, 12] Semtokha Dzong, 13] National Flag Hoisting, 14] Tashicchhoe Dzong. Overnight Stay in Thimphu hotel. After Breakfast: Transfer to Punakha - It is approximately 90 kilometers and is nearly 03 hours from Thimphu - Punakha is the administrative centre of Punakha dzongkhag, districts of Bhutan. 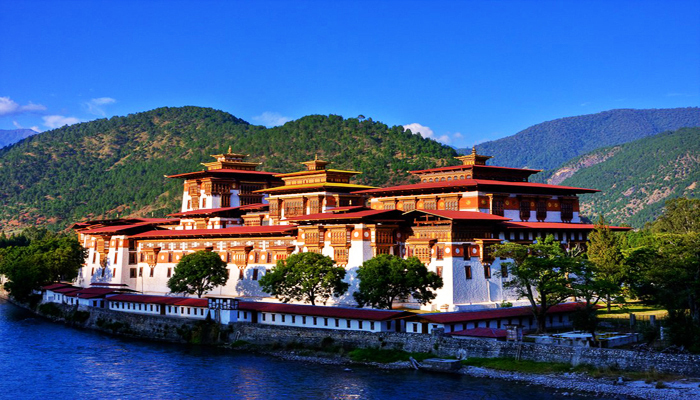 Punakha was the capital of Bhutan - It Has a population of 25,700 - Wangdue Phodrang is a town and capital (dzongkhag thromde) of Wangdue Phodrang District in central Bhutan - It Has a Population of 34,300 - Enroute Visit 1) Dochu la Pass, 2) Chhimi Labang Monasteries, 3) Punakha Dzong, 4) Hanging Bridge, 5) Druk Wangyal Lhakhang- Trekking 1Hours, 6) Wangdue Phodrang ,,evening free,,over night stay in Punakha hotel. After Breakfast Transfer to Paro, on arrive check in Paro hotel. Afternoon free & over night stay in Paro hotel. After Breakfast Paro sightseeing : Paro is a town and seat of Paro District in the Paro Valley of Bhutan - Sacred sites and historical buildings scattered through the area - The Paro Valley is wide and verdant and is beautiful - The sightseeing starts with visit 1) Drukgyal Dzong, 2) View of Taktsang Monastery, 3) Kichulanka Monastery, 4) Ta Dzong, 5) Paro Rinpung Dzong (Museum), 6) Nya-mey Zam, 7)Dungtse Lhankhang, 8) Druk Choeding. Overnight Stay at Paro. After Breakfast: Check-Out from Hotel & Your heart will never allow you to leave this place but your destination awaits you. Today you will depart from Paro with a cute smile on your face remembering all the sweet moments spent here and drive back to Hasimara. Aadhaar Card/ Voter Card in original along with 2 XEROX copies of BOTH & 3 copies recent coloured passport size photographs.